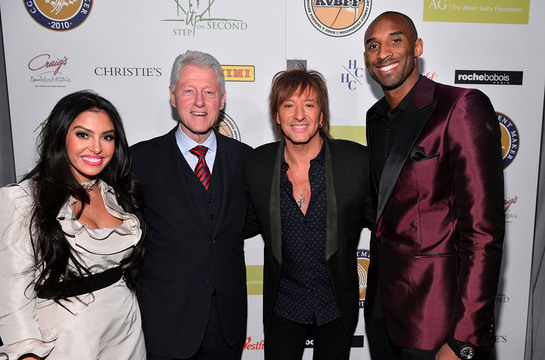 Bon Jovi's Richie Sambora joined Bill Clinton and Kobe and Vanessa Bryant at the grand opening of STEP UP ON VINE on Monday. Richie Sambora joined President Bill Clinton and Kobe and Vanessa Bryant at the grand opening of STEP UP ON VINE on Monday, January 14, 2013 in Los Angeles. Richie performed songs from his new solo album Aftermath of the Lowdown (out now) at the event, which was hosted by Bill Clinton and Kobe Bryant and served as the grand opening of Step Up On Vine – a supportive housing project in Hollywood to fight chronic homelessness. 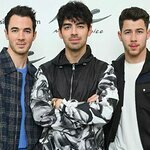 The Step Up On Vine charity gala was made possible by The Clinton Global Initiative in partnership with The Kobe and Vanessa Bryant Family Foundation.